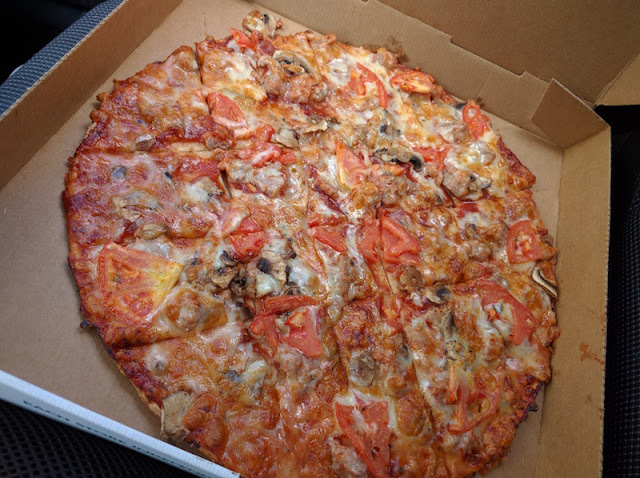 One of my daughter's friends is from St. Louis, and she told us to be sure and check out Imo's Pizza while were in the area. We didn't have time while were in St. Louis, but on my return trip to California I passed back through Missouri and was able to visit Imo's. What a treat! Imo's pizza reminds me a lot of Quad City pizza which you can get not too far away in the Quad Cities of Iowa and Illinois. 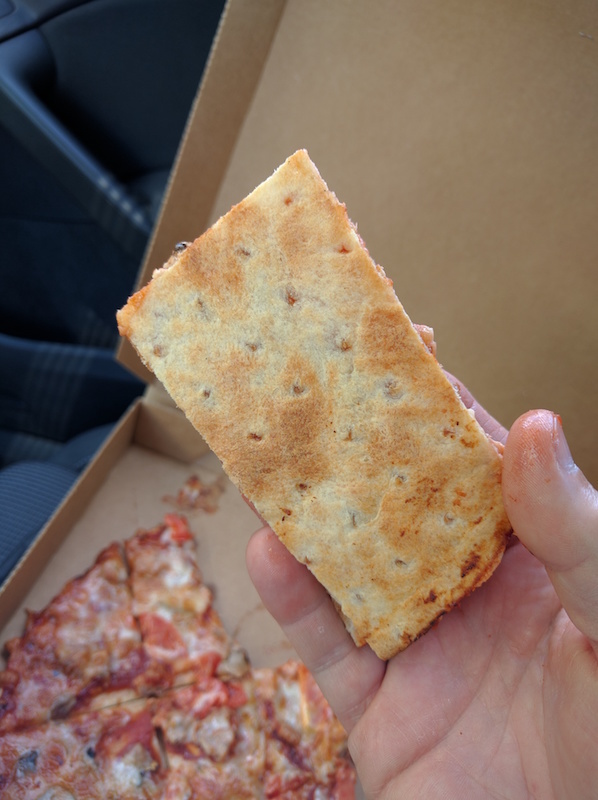 It shares a crisp flat crust and rectangular slices. 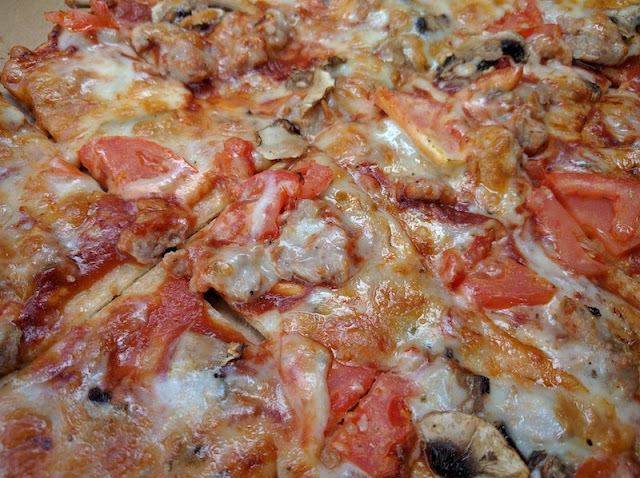 But the cheese used on Imo's pizza makes it very distinct. The cheese is called Provel. Provel cheese is a blend of mild cheddar, Swiss cheese, and Provolone. Imo's special cheese has a much tangier taste than you get in the blended cheese of a quad city pizza. It sort of reminds me goat cheese, which is a good thing because goat cheese (when it's warm) is delicious. 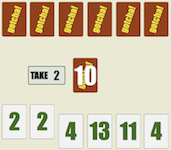 You can buy some Provel cheese at Imo's web site. I had sausage, tomato, and mushroom on my pizza. 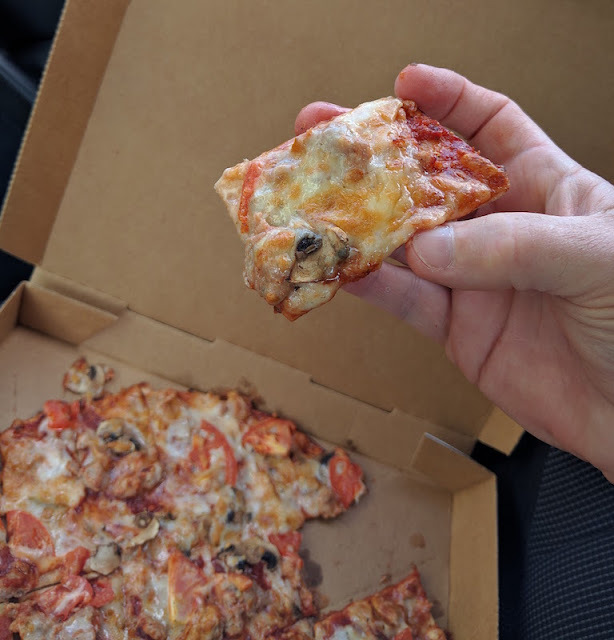 So if you find yourself near St. Louis, treat yourself to a slice of Imo's pizza. Find an Imo's location near you at their web site.